Sherlock Holmes has faced many an adversary in the long and colorful canon of detective stories his character has starred in, but none so implacable or impervious as the one he faces in Mr. Holmes—that of time itself. Teaming with director Bill Condon (The Fifth Estate) some 16 years after their collaboration on the acclaimed Gods and Monsters, Ian McKellen (Lord of the Rings trilogy) turns in a predictably stellar performance as the aged Sherlock Holmes, bringing both dignity and pathos to the plight of a man whose mind—once a razor-sharp precision weapon—no longer is what it was. Laura Linney (Hyde Park on the Hudson), playing his stalwart housekeeper, and Milo Parker as her precocious son are equally strong as characters who find themselves, by turns, frustrated, dazzled, enlightened, enraged, and reluctantly won over by Sherlock Holmes. 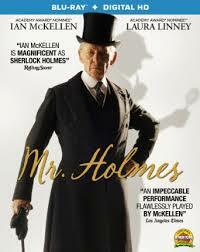 In this sense, if none other, the character of Mr. Holmes appears not to have aged a day. Not so much a detective story proper, Mr. Holmes is more a rumination on the nature of aging, loss, and memory. It gives us a man known in his youth as much for his fierce independence as his prodigious brilliance—who now, in old age, finds himself deeply regretting the loss of those he consciously pushed away. There is perhaps no solitude so profound as being the last survivor of one’s circle of loved ones—and as we watch a now-elderly Sherlock Holmes struggle as hard to find connection with his housekeeper and her son as he does to recall the forgotten details of his final case, we’re left to conclude along with him that perhaps the solitude he always longed for was never all it was cracked up to be. 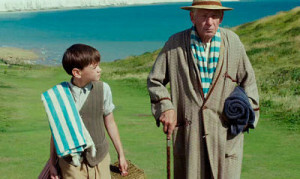 Discarding the lively pace of such recent productions as his two Twilight: Breaking Dawn films and Dreamgirls, Condon’s Mr. Holmes is a slow-moving film, and ultimately not all it might have been. But it’s so beautifully shot by veteran DP Tobias Schliessler (Battleship), and acted so compellingly, that it still has the power to draw one in and deliver, albeit modestly. If you’re like me, you might find yourself returning, after the closing credits, to the original Sir Arthur Conan Doyle stories—when a brilliant, tireless young detective was the scourge of evildoers, and the delight of readers, everywhere.